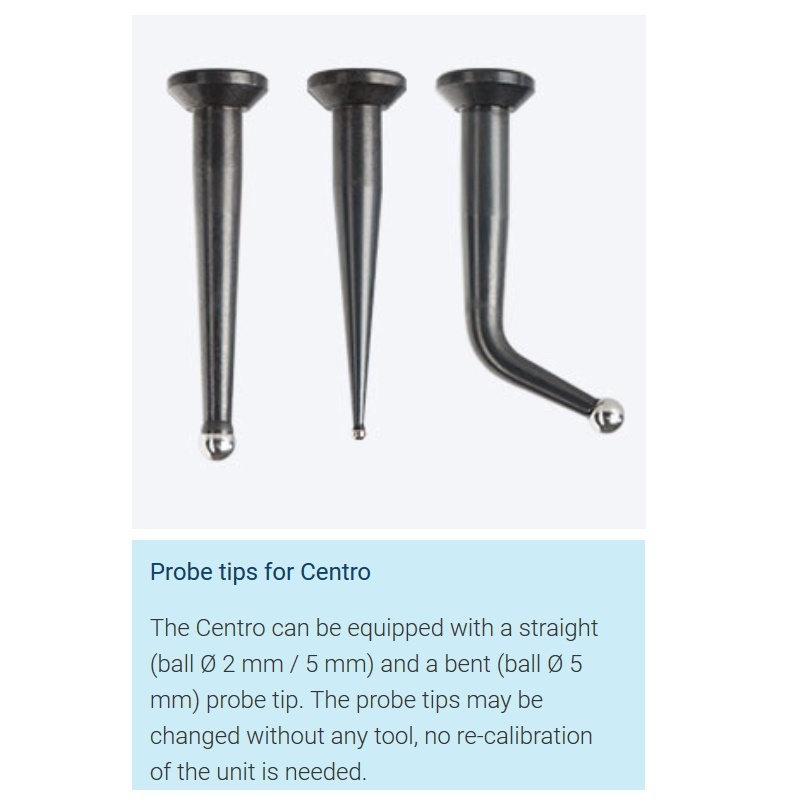 CENTRO Precision Centering Device (80.300.00.FHN) | DamenCNC B.V. 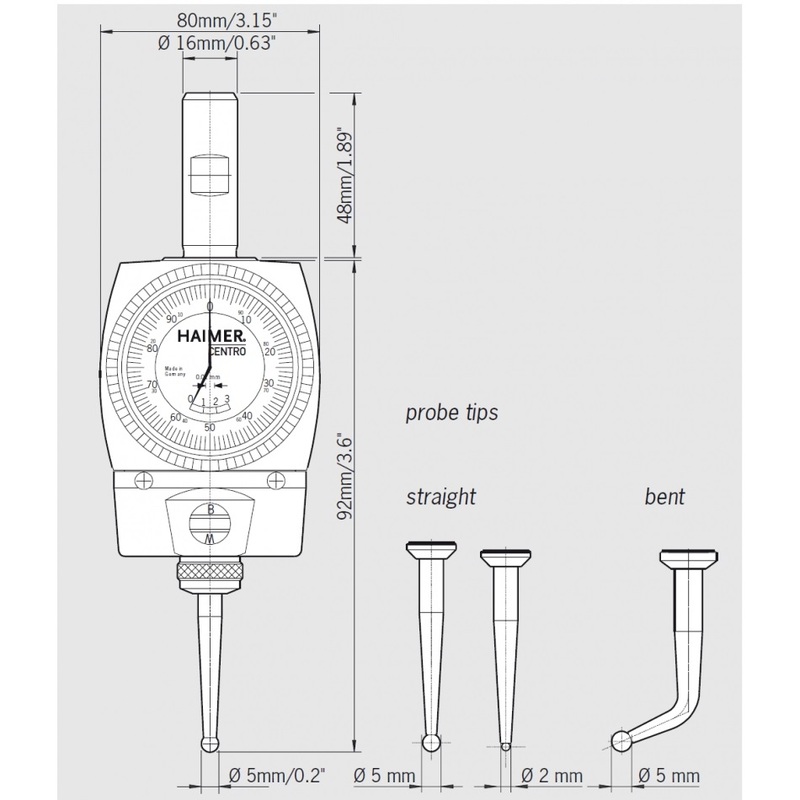 The Haimer CENTRO easily and precisely centers milling machine spindles over holes, bores, shafts and circular bosses. Clamp the CENTRO into a tool holder and insert into the spindle of the milling machine. Position the machine spindle near the bore or shaft to be measured and rotate at low speed so that the probe tip of the CENTRO slides along the inside or outside surface of the diameter. Initially, the probe tip will be deflected and the amount of deflection is registered on the large dial. 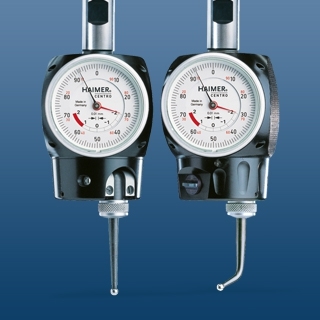 The stationary dial face does not turn with the spindle and therefore can always be seen by the operator. The position of the spindle can then easily be adjusted until the hands of the dial indicator stop moving. This indicates that the spindle axis is now perfectly aligned with the diameter center. 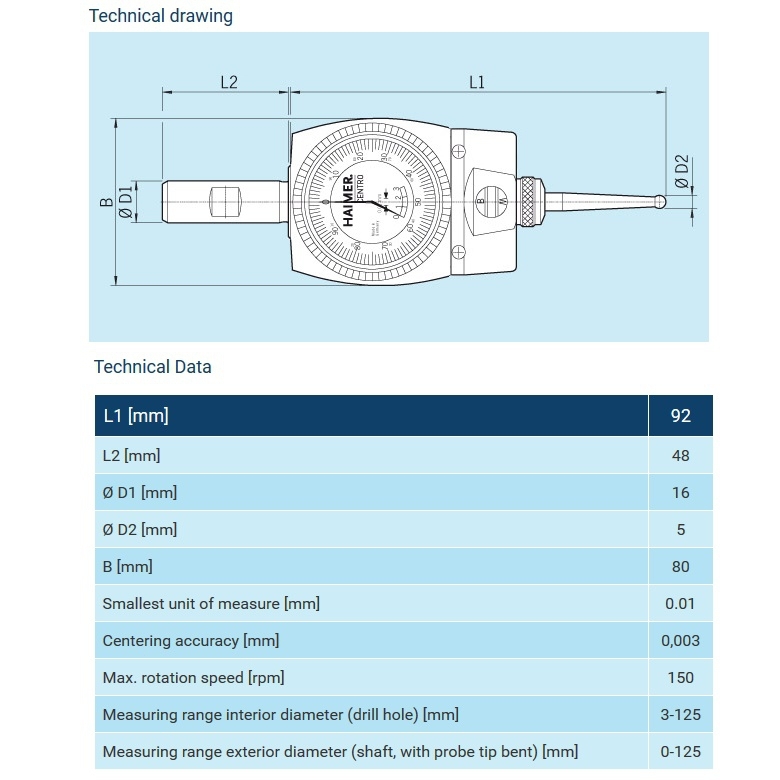 Nominal measuring accuracy: 0.003mm / 0.0001"